Some plants that are found primarily in nitrogen-deficient soils augment their nitrogen and phosphorus supply by capturing and digesting flies and other insects. There are about 450 of these carnivorous species, the best-known of which are Venus flytraps (genus Dionaea; Figure 37.9a), sundews (genus Drosera; Figure 37.9b), and pitcher plants (genus Sarracenia). Carnivorous plants are normally found in boggy regions where the soil is acidic. Most decomposing organisms require a less acidic pH to break down the bodies of dead organisms, so relatively little nitrogen is recycled into these acidic soils. Accordingly, the carnivorous plants have adaptations that allow them to augment their supply of nitrogen by capturing animals and digesting their proteins. 37.9 Carnivorous Plants Some plants have adapted to nitrogen-poor environments by becoming carnivorous. (a)The Venus flytrap obtains nitrogen and phosphorus from the bodies of insects trapped inside the plant when its hinges snap shut. (b) Sundews trap insects on sticky hairs. Secreted enzymes will digest the carcass externally. The Venus flytraps have specialized leaves with two halves that fold together. When an insect trips trigger hairs on a leaf, its two halves come together, their spiny margins interlocking and imprisoning the insect. 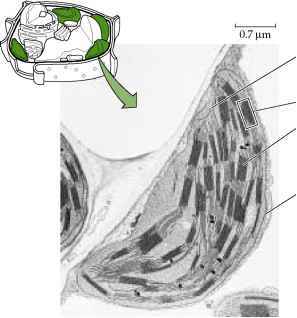 The leaf then secretes enzymes that digest its prey. The leaf absorbs the products of digestion, especially amino acids, and uses them as a nutritional supplement. Pitcher plants produce pitcher-shaped leaves that collect small amounts of rainwater. Insects are attracted into the pitchers either by bright colors or by scent and are prevented from getting out again by stiff, downward-pointing hairs. The insects eventually die and are digested by a combination of enzymes and bacteria in the water. Even rats have been found in large pitcher plants. Sundews have leaves covered with hairs that secrete a clear, sticky, sugary liquid. An insect touching one of these hairs becomes stuck, and more hairs curve over the insect and stick to it as well. The plant secretes enzymes to digest the insect and eventually absorbs the carbon- and nitrogen-containing products of digestion. None of the carnivorous plants must feed on insects to survive. They can grow adequately without insects, but in their natural habitats they grow faster and are a darker green when they succeed in capturing insects. They use the additional nitrogen from the insects to make more proteins, chlorophyll, and other nitrogen-containing compounds. Thus far in this chapter we have considered the mineral nutrition of plants. 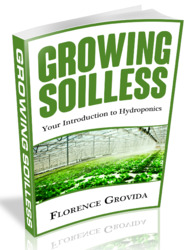 As you already know, another crucial aspect of plant nutrition is photosynthesis—the principal source of energy and carbon for plants themselves and for the biosphere as a whole. Not all plants, however, are photosynthetic autotrophs. A few, in the course of their evolution, have lost the ability to sustain themselves by photosynthesis. How do these plants get their energy and carbon? 37.10 A Parasitic Plant Tendrils of dodder wrap around other plants. This parasitic plant (genus Cuscuta) obtains water, sugars, and other nutrients from its host through tiny, rootlike protuberances that penetrate the surface of the host. help of fungi, from nearby actively photosynthesizing plants. Hence it, too, is a parasite. Dwarf mistletoe is a serious parasite in forests of the western United States, destroying more than 3 billion board feet of lumber per year. However, parasitic plants are a much more urgent problem in developing countries. Striga (witch-weed) imperils more than 300 million sub-Saharan Africans by attacking their cereal and legume crops. In the Middle East and North Africa, Orobanche (broomrape) ravages many crops, especially vegetables and sunflowers. Why heterotrophic organisms eventually die? 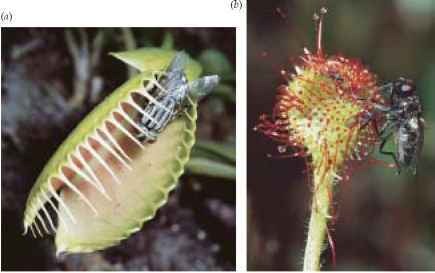 How carnivorous plant capture animals? Are carnivorous plants photosynthetic autotrophs? How to trap insects dodder plant? Are sundew and pitcher plants parasites? What specie of mistletoe is carnivorous? 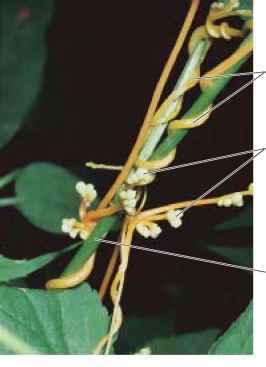 Is dodder a carnivorous plant? Is venus fly trap a parasite,? Is a dodder plant insectivorous?